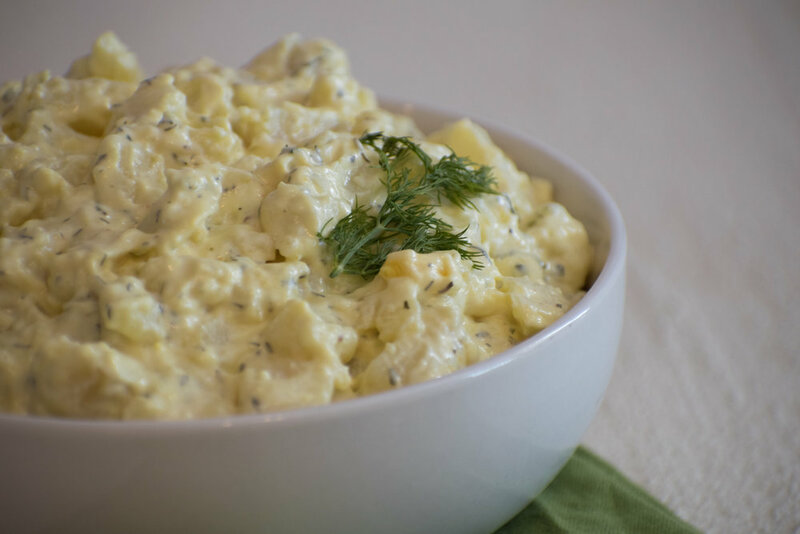 Our most popular potato salad is transformed by adding in our Old Fashioned Dill Dip. Combine ingredients. Keep refrigerated at 33° to 39°F until serving. Combine all ingredients. Chill to 33° to 39°F before serving. Garnish with fresh parsley. Enjoy!